A columbarium is a concrete wall with many recessed niches commonly referred to as a columbarium niche. These niches are used to hold cremation urns. A columbarium niche also includes a niche cover. Covers are typically constructed of marble or granite which is often engraved after inurnment. A concrete columbarium may be clad in granite or marble of contrasting or complementary colors. A columbarium provides space for many urns, while respectively designating personal and permanent placement of cremated remains. Individual niches can accommodate virtually any style of urn and may also hold personal mementos that a family chooses to place in the niche with their loved ones urn. 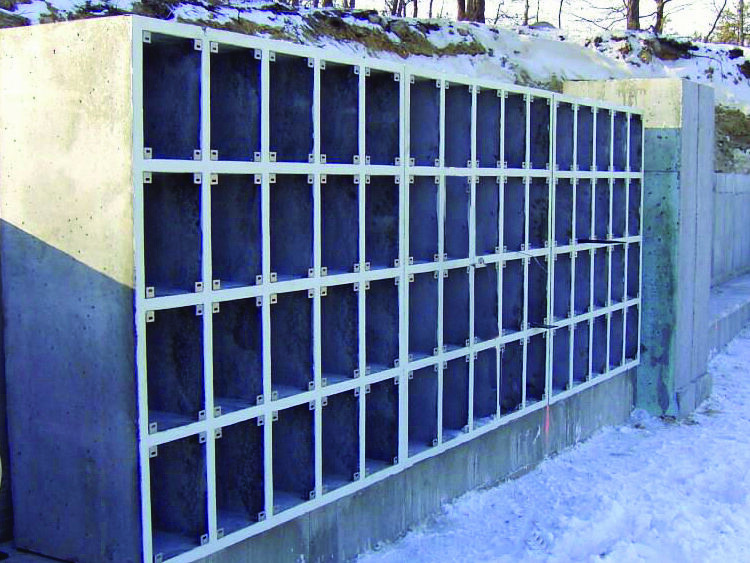 Columbarium niches come in many different shapes, sizes and styles. They can be designed as a standalone a structure or they may be designed as walls, benches or even entire buildings. Some cemeteries create “cremation gardens” where the installation columbarium niches provides many spaces for inurnment. Columbarium niches can also be built indoors where they may be seen with niche covers made of glass which reveal the contents of the niche. Whether the niche cover is constructed of marble, granite, glass or another material, once the niche is sealed, the urn can only be removed with special tools ensuring the security of the cremated remains. 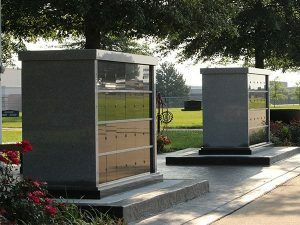 Columbarium have been gaining popularity in cemeteries as more people choose cremation as a final means of disposition.